Miramar is, for the most part, a quiet, unassuming neighborhood across the water from Condado. It's a mix of residential community, business sector, and some admittedly shady areas. 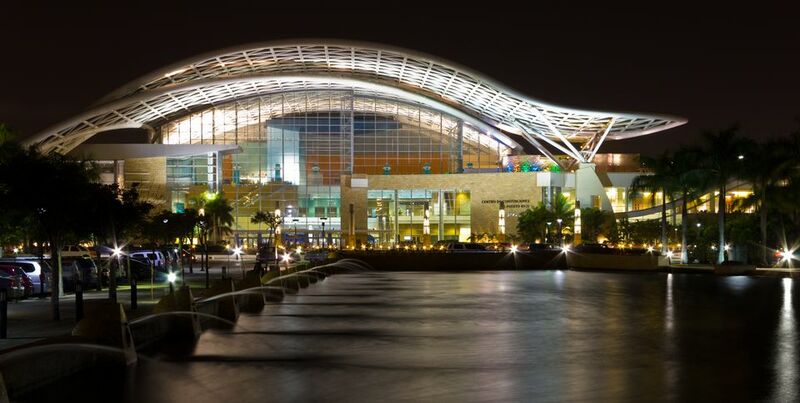 But Miramar's fortune changed with the arrival of the Puerto Rico Convention Center. An architectural wonder, the center is still putting its stamp on the neighborhood, but it has already transformed the landscape. The Courtyard by Marriott is the best hotel in Miramar. You pay less than you would for the Marriott in Condado, but then, you're not in Condado, and you'll need to cab it to the tourist hotspots. The Hotel Olimpo Court on Miramar Avenue is excellent value for money. The rooms are nothing to shout about, but it's a friendly place and has one of the neighborhood's best restaurants. Augusto's, at the Courtyard by Marriott, is a quintessential steakhouse popular as a power lunch and formal dinner spot. You might think that the Puerto Rico Convention Center has nothing to offer the casual visitor. Take a walk around the Paseo de las Fuentes park, with its wide green spaces and Bellagio-like fountains, and you might change your mind. The other attraction in this neighborhood is the Club Náutico de San Juan, which offers adult and kids sailing lessons. The club also hosts the International Billfish Tournament, a huge event that draws thousands of sailors and spectators to Miramar.